Ebay has been around for a very long time, at least in internet years, and although it faces some really tough competition it is still a popular e-commerce platform that lots of consumers have grown accustomed to. Since eBay is looking to compete with the big retailers like Amazon, Walmart, Costco, and Target, they have planned some big changes for this fall. Old time sellers, particularly small business owners, are understandably a little worried and don’t quite know what to make of this latest update. There is a fairly detailed page explaining everything on the website, but we wanted to cut through all the boring details and take a look at what this new update means for businesses on this platform. However, the new rules left a lot of wiggle room when it came to interpreting what constitutes a defect. The new way of doing things looks promising, as it strives to simplify the defect rate metric and combine it with the new on-time shipping metric, to gauge seller performance more effectively. Ebay will no longer take into account negative and neutral buyer feedback, as well as successfully resolved return and item not received requests, when determining a seller’s defect rate. Closing cases without seller resolution and out of stock items causing transactions to be canceled by the seller will, however, count towards your defect rate. The on-time shipping will use tracking information, and will require you to simply scan the items, but if tracking is not available, eBay will look for delivery confirmation. You’ll have to set delivery times that you can realistically manage if you want to improve, so there is still an emphasis on efficient shipping. Here is a handy little infographic that explains this process. 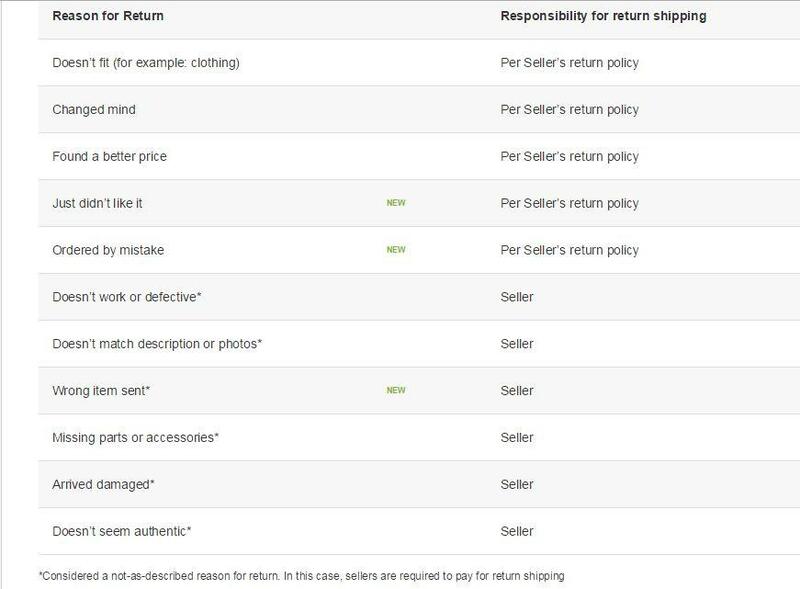 Many sellers might have an issue with the 30 days return policy, 14 days for certain categories, which is required for anyone wanting to attain Top Rated Seller status. A big positive change is the creation of the eBay Sellers Hub, where small businesses can find all manner of useful tools – promotional, listing, performance tracking and other site tools will all be readily available in one place. It is a great solution for sellers new to the platform, as well as experienced sellers that are looking for a quick and effective way of running their business. This 2015 Fall Update will do away with all the different iterations from the past, and just use eBay Returns as a general classification. It should supposedly streamline the returns process, as well as add a level of customization. Another good thing is that the seller can choose between various levels of automation. A return process can be fully automated, or you can manually deal with particular cases. Sellers will be able to add options like offering a replacement and adding a restocking fee. Items not as described will no longer be considered a defect, as long as the seller manages to successfully resolve the issue without eBay having to step in. 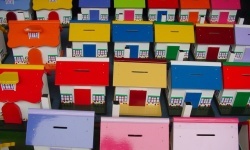 Other measures will also be put in place to protect the seller against customers who try to usurp the returns system – the customer will have to be more detailed when describing the reason for the return, where some reasons will not require the seller to pay the return shipping costs, and the seller can also report a problem with a buyer he suspects is misusing the system without it counting as a defect. Apart from these major changes that will affect business in a big way, there will also be a restructuring of the categories and item specifics. A number of categories are being updated to provide a better user experience, and you can expect to see these by October. All in all, this update seems to offer some benefits to sellers, e.g. tightening the returns policy to avoid misuse by customers, but things like the 30 day return policy may not bode well for small business, particularly those selling used clothes – even if the seller doesn’t have to pay for the return shipping, someone can easily purchase a dress to be worn at an event and return it, and just spend a bit on shipping. It looks like eBay has made a big step in the right direction, but a lot of things will still need to be tweaked if they want to stay competitive, without alienating their smaller sellers.